EXCLUSIVE: Beatlefan contributing editor Howie Edelson reports that during a chat with Jack Douglas the producer revealed that plans are in the early stages for him to overhaul John Lennon’s 1972 Madison Square Garden performances for an upcoming CD and DVD release, with a 5.1 mix likely as well. The still-untitled collection is still in the planning stages with Yoko Ono. The new set will be an entirely new project apart from the 1986 “Live in New York City” collection, with Douglas examining all existing audio and film sources for the set. 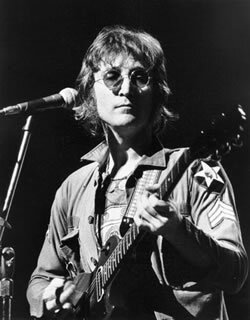 This iconic photo of John was taken at the concert by Bob Gruen.